China's economy is in trouble. How bad is it? 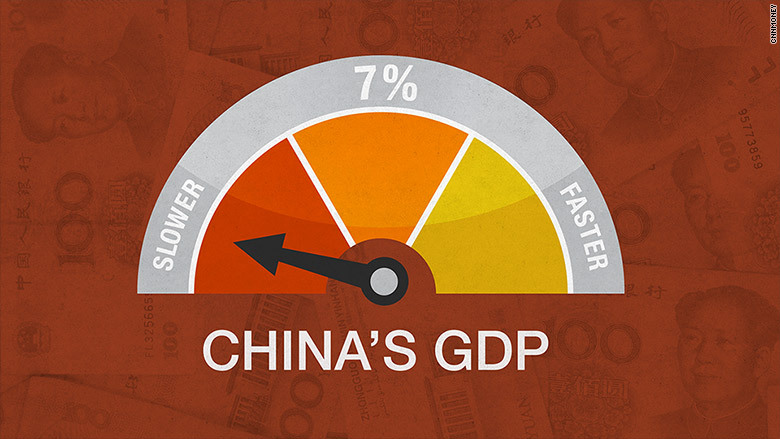 There is almost no way that China's economy is growing as well as the government says it is. For years, experts have questioned whether China cooks its books. "The question is not whether they're right, it's how wrong are they," says Derek Scissors, an Asia expert at the American Enterprise Institute. But you don't need a PhD in statistics to figure it out this time. Just take a look at what China's government has been doing lately: making a surprise devaluation of the yuan in an effort to boost exports, propping up its markets by actually buying stocks, spending big and cutting interest rates in an effort to stimulate its economy. China wouldn't be taking these actions if the country really was chugging along at the 7% growth rate that the latest government data claims. "China could be in the world's greatest depression and they would still report 7%," says Gordon Chang, a China expert and author of " The Coming Collapse of China." But just how bad is it in China? Stock markets around the world are tanking because investors are afraid that the world's second-largest economy will drag other countries down with it. China is a major buyer of commodities like oil and copper. When China doesn't purchase as much, countries like Australia, Canada and Brazil that provide those commodities to China really suffer. In the U.S., China was one of the most talked issues by company executives in the latest round of earnings reports and investor calls. CEOs are trying to figure out how to operate in a China that isn't booming any more. The problem is no one knows exactly how to calibrate their expectations and what to plan for. After all, there's a big difference between China being in the midst of a major slowdown (think: about 2% growth) versus a minor slowdown (think: 5 to 6% growth). How you believe the Chinese economy is really doing will shape views on investing, geopolitics and more. 1. It's a major slowdown. Chang says he has heard that in Beijing, they are privately talking about 2% growth. He's not surprised. Across the board, the statistics don't look good with everything from steel to rail freight to electricity consumption showing big drops. China's manufacturing sector looks especially weak -- sentiment just hit its lowest level in six years. "There's a lot there that looks really wrong," says Chang. While Chang acknowledges that China is taking various stimulus measures, he is concerned that a lot of the growth is coming from people, companies, real estate developers and even local governments taking on more debt. "The growth they are creating is crap growth," says Chang. "They're aggravating their debt problem and they have no solution." He estimates the true GDP number is likely 1% to 2% growth. Expect China to hurt American company earnings for the rest of the year. Even worse, expect more panic "because people think that China is more important than it actually is." 2. It's a minor hiccup. 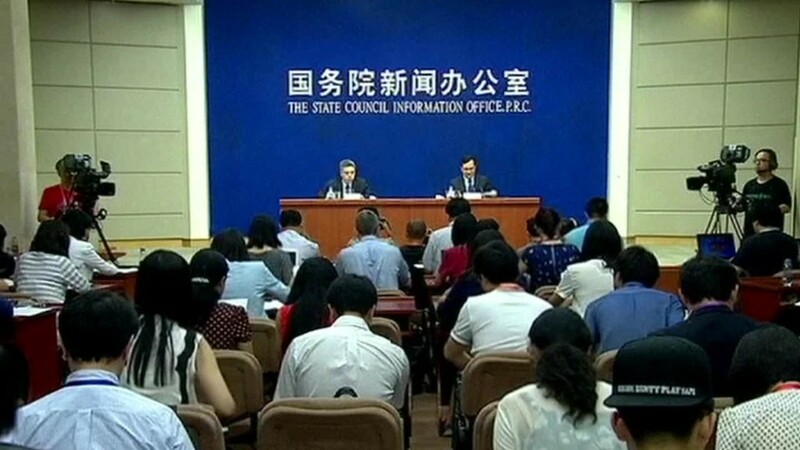 Other experts say that predictions of a "hard landing" in China go too far. "This is not 2009," says Scissors, the America Enterprise Institute scholar. He estimates GDP is growing at about 4.5%. Global forecasting company Capital Economics has traded jabs with the Chinese government before over the validity of the government statistics. Capital Economics believes China is likely growing at 5% to 6%. China's economy probably did a lot worse than what it reported in the first half of the year, but there could be a pickup in the second half, especially as all of the stimulus measures take root. "There are signs the economic conditions are improving," says Mark Williams, chief Asia economist at Capital Economics. He reminds people that growing at 5% to 6% isn't the "very dark place" some are warning about. Another key for Americans to remember is that when the Chinese get nervous, they tend to invest their money abroad. "Bad Chinese economy performance means more Chinese money leaving their country, and the No. 1 place it comes is here," says Scissors.